The following items contain news and/or reports that are associated with the ESA's Science Policy program. For other updates, see the Science Policy Newsletter or the ESA Action Alerts. ESA joined 52 other science, engineering, and medical organizations to encourage the House and Senate leadership to raise the budgetary caps imposed on the discretionary budget to support robust federal research initiatives. Bolstering the coalition's perspective, a new poll shows that 88 percent of voters from both parties believe that it is important for the federal government to fund science and technology research. In a letter from over 600 organizations from all 50 United States, ESA joined a community effort to seek relief to burdensome taxation created by the 2017 Tax Cuts and Jobs Act. As written, the law would add a 21 percent Unrelated Business Income Tax (UBIT) on qualified benefits, such as transportation and parking. The American Society of Association Executives (ASAE) organized the letter and through a related advocacy effort met with fully one quarter of all members of Congress. In the latest community sign-on letter to support robust agricultural funding for fiscal year 2020, ESA joined more than 20 fellow members of the Agriculture and Food Research Initiative (AFRI) Coalition in a letter sent to the Chairs and Ranking Members of the House and Senate Agriculture Appropriations subcommittees. The letter requests funding to be set at $445M minimally for the coming year and also reminds the appropriators of the coalition's goal of reaching the authorized $700M funding level. 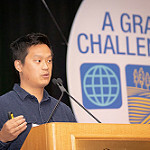 In recognition of the 10th anniversary of the C.V. Riley lecture, the American Academy for the Advancement of Science (AAAS) is seeking a lecturer on the role of agricultural innovation in addressing critical global challenges in the next decade. Riley was one of the founders of the American Association of Economic Entomologists, which became part of ESA in 1953. ESA intends to nominate a lecturer and has opened a competitive application process. The nomination will be considered by AAAS and they will make the final selection from all interested nominees. The lecturer will receive a $5,000 travel stipend. ESA members in good standing who would seek the Society's nomination may click here to apply. Applications must be received by April 10. Interested lecturers may also pursue their own nomination by following instructions on the AAAS website. In a letter organized by the National Sustainable Agriculture Coalition, ESA and 15 other organizations advocated for appropriate funding of public food and agricultural research. Specifically the letter was part of an overall goal to reassert American leadership in the field after years of stagnated funding on agriculture. The letter focused on competitive grants and is part of a drive to increase funding to $1B by 2024. In a letter to both the House Appropriators, ESA joined more than 100 other organizations to reiterate concerns regarding the proposed move of the Agencies from the Washington D.C. metropolitan area. The letter seeks to have no funding to be allocated for the proposed move until previously addressed concerns are addressed. A subcommittee held a hearing on the matter on March 20. In a letter to Senate leadership which was signed by approximately 70 organizations, the public health advocacy community advocated for the passage of the Pandemic and All-Hazards Preparedness & Advancing Innovation Act (PAHPAI, H.R. 269), which overwhelmingly passed the House of Representatives in January. The coalition included ESA, health care providers, public health organizations, researchers, and others concerned about ensuring the nation's ability to respond to public health crises. This bill includes what had been the SMASH Act (see below), legislation strongly endorsed by ESA. The community letter effort was initiated by Trust for America's Health. As mentioned below in the March 12 update, ESA's government relations firm, Lewis-Burke Associates has provided a detailed analysis of the Trump Administration's fiscal year 2020 budget request and the impacts it would have on agencies of importance to ESA. Congress seems likely to reject most of the steep non-defense cuts called for in this budget. In brief, the request calls for an increase of approximately 5% (to a new total of $750B) for defense spending and a $55B cut to non-defense programs. In a letter to the chairmen and ranking members of the House and Senate Agriculture Appropriations Subcommittees, ESA joined 58 other organizations and scientific societies in stating the case for increasing AFRI funding to $445 million in FY2020 to address challenges facing producers and consumers. On March 11, the Administration released their latest budget request and ESA's government relations firm, Lewis-Burke Associates has provided a summary and analysis with highlights of federal agencies of most relevance to the research and education community. A more detailed Agency-level analysis will follow in the coming weeks. In a letter, signed by 225 members of the CDC Coalition, ESA and the coalition advocated for $7.8 billion for the CDC's Prevention Programs in the FY2020 Labor, Health and Human Services, Education and Related Agencies budget. The letter specifically noted the important work of the agency in the surveillance, detection, and prevention of the Zika virus and other issues of importance to ESA. The issue of insect biodiversity (and a looming, so-called "insect apocalypse") has earned a foothold in the public consciousness—from the public to the media to policymakers—in a way that echoes past issues like colony collapse disorder or Zika virus.Thus, as ESA works to serve as a leading voice on the issue of insect biodiversity, the Society has developed a Q&A document to help make sense of the issue for the public and to help separate hype from science—and to support entomologists' communications in their own communities and networks. See "Global Insect Biodiversity: Frequently Asked Questions." On February 11, 2019, the National Science Foundation announced that Dr. Joanne Tornow was selected as head of the Directorate for Biological Sciences (BIO). Her long career at BIO includes experience in genome systems, strategic planning, molecular biosciences, and chairing the Independent Research and Development Council. You can find the full NSF organizational leadership chart here. Following the funding package which was the outcome of recent budget deliberations that avoided a second government shutdown, ESA's government relations firm–Lewis-Burke Associates–provided an analysis of the appropriations. The conclusion of the FY2019 funding decisions will now pave the way for the FY2020 process. An aspect of this to be mindful of is that Congress only suspended automatic sequestration budget cuts for FY2018 and FY2019. Congress will need to address the discretionary spending caps to avoid a $126B fiscal cliff for FY2020. In late January, Secretary of Agriculture, Sonny Perdue, appointed Dr. Scott Hutchins, BCE, to become the new Deputy Undersecretary for Research, Education, and Economics. As stated below, he has also been renominated to become the Undersecretary of REE, but being named the Deputy Undersecretary allows him to begin his work for the Agency while the Senate considers the nomination. ESA plans to fully support the nomination through community sign-on letters currently circulating throughout the advocacy community, including NCFAR. Past President of ESA, Dr. Scott Hutchins, BCE, has again been nominated to become the Undersecretary for Research, Education, and Economics at USDA. In 2018, during the 115th Congress, his nomination for this same position was favorably reviewed by committee but the full Senate did not take action; thus the nomination process is starting anew. In a letter to the leadership of the U.S. Sentate, ESA President Bob Peterson expressed support for the nomination on behalf of the full membership. On January 25, President Trump agreed to reopen the federal government through February 15 to enable negotiations on a larger border security and immigration compromise. The deal to reopen the government for a three-week period ended the 35-day partial government shutdown. While it is uncertain how ensuing negotiations will proceed, given the shutdown’s unprecedented length, there is a great deal of uncertainty as to how federal agencies will recover from this significant disruption and the residual effects on U.S. research and higher education. Lewis-Burke Associates offers an analysis in a new Policy Update titled, "Shutdown Outlook and Impacts for Higher Education and Research." Based in part on recent calls for a moratorium on gene drive research and gene drive field releases at the UN Convention on Biological Diversity in 2016 and 2018, the ESA Science Policy Committee has begun the process to develop a position statement on the importance of gene drive research. ESA members who would like to serve on the writing team for this topic can self-nominate by accessing this form through February 15, 2019. Any ESA member in good standing may also submit comments to help inform the position statement by accessing this form through February 22, 2019. In letters to leadership for both the Senate Committee on Agriculture, Nutrition, and Forestry and the House Committee on Agriculture, ESA expressed gratitude for the support and passage of the 2018 Farm Bill. In particular, the letters highlighted the establishment of the Pollinator Health Task Force, the creation of a new position of Honeybee and Pollinator Research Coordinator, and funding for both AFRI and FFAR. The letters were sent to Senators Pat Roberts (R-KS; Chair) and Debbi Stabenow (D-MI; Ranking Member), and Representatives Collin Peterson (D-MN; Chair) and Mike Conaway (R-TX; Ranking Member). All were similar in style and tone to the letter included in the link above. In November, at the Grand Challenges summit on invasive species, ESA announced a new challenge grant to help fund work on invasive species research and management. Due to the partial government shutdown, and the very related fact that many ESA members and other stakeholders are federal employees, the deadline for submitting projects has been extended from January 7 until January 22, 2019. Learn more about the challenge grant here. The 116th Congress was sworn in January 3 and as part of ESA’s efforts to put entomology on the radar of incoming elected officials, a letter on behalf of ESA President Bob Peterson was shared with each new Member’s office. The communication congratulates the Members and encourages them to use ESA as a resource as they begin to put together their legislative priorities. The letters were hand-delivered along with the new one-page document highlighting the broad range of ESA’s priority areas. This offered the opportunity to connect with new staff and begin cultivating relationships on behalf of the Society. A sample of the letter is available at the link above. In the final hours of the 115th Congress, the U.S. Senate confirmed Dr. Droegemeier to serve as the new Director of the Administration's Office of Science and Technology Policy. ESA had previously endorsed this nomination. However, despite approving 76 other nominees for a wide variety of federal appointments, they did not advance Dr. Scott Hutchins, BCE to become the new Under Secretary of Agriculture for Research, Education, and Economics for the USDA. Dr. Hutchins will need to start the approval process again in the 116th Congress. While much of the government has already been funded for fiscal year (FY) 2019, including the Department of Defense (DOD), National Institutes of Health (NIH), Department of Energy (DOE), and the Department of Education (ED), a number of science agencies will be impacted if Congress and the President are not able to come to a compromise or pass another continuing resolution (CR) by midnight tonight, December 21. ESA's government relations firm, Lewis-Burke Associates, compiled a brief report that discusses the impacts on various federal agencies, which can be found here. H.R. 2, the Agriculture Improvement Act of 2018, more commonly referred to as the Farm Bill, was introduced late in the day on December 10. This latest iteration is compromise legislation between versions passed by the House and Senate, with this version hewing more closely to the Senate version and including several key provisions that the scientific advocacy community had sought, including codification of language to support the Pollinator Health Task Force, funding for FFAR, and the creation of a new honey bee research coordinator position within the office of the chief scientist for the USDA - the job for which ESA past president Scott Hutchins, BCE, has been nominated. The Senate and the House quickly passed the bill by wide margins. Prior to passage, ESA and almost 500 other scientific organizations urged its passage in a letter to lawmakers. Analysis of the bill by ESA's government relations firm, Lewis Burke Associates, may be found here. Last month ESA co-hosted a summit on invasive species with the Entomological Society of Canada and the Entomological Society of British Columbia as part of the joint annual meeting of the three societies. With over 150 researchers in the room, the goal was to start to find common ground for addressing the invasive species challenge on an international scale. A summit report is still being drafted, but two key outcomes emerged. First, the need for more international collaboration to solve the problem on a global scale. As a step toward that, a second outcome was the announcement of an innovative crowd funding challenge grant to kickstart innovative research on the topics addressed. ESA will partner with Experiment on this initiative and contribute $1,500 in additional funding. (Experiment co-founder Denny Luan is shown in the photo to the right announcing the funding opportunity). Learn more about the challenge grant here. Through a recent Federal Register announcement, the U.S. Department of Health and Human Services seeks nominations for the Tick-Borne Disease Working Group, which was initiated as a part of the 21st Century Cures Act. ESA is seeking recommendations to serve as the Society's nominee to the group. The Working Group consists of 14 voting members who represent diverse scientific disciplines and views. The composition includes seven federal members and seven public members. Update, December 14, 2018: ESA nominated Dr. Megan Fritz (University of Maryland) to serve on the working group. Her letter of recommendation may be found here. The leadership of the CDC's Vector-Borne Diseases Division issued a Call to Action in an article in the American Journal of Tropical Medicine and Hygiene. The open access article calls for innovation and discovery, building state and national responses, a coordinated response across a national network of collaborators and the development of a national strategy. On November 28, past president of ESA Dr. Scott Hutchins, BCE, appeared before the U.S. Senate Committee on Agriculture, Nutrition, and Forestry as President Trump's nominee to become the new Under Secretary of Agriculture for Research, Education, and Economics for the USDA - a position which requires Senate confirmation. Both Chairman Pat Roberts (R-KS) and Ranking Member Debbie Stabenow (D-MI) emphasized the importance of agricultural research in their respective opening statements, as did Senator John Hoeven (R-ND), who chairs the Senate Agriculture Appropriations Subcommittee. Overall the hearing was not contentious, although committee members questioned Dr. Hutchins on several hot-button issues including climate change and the proposed relocation of the National Institute of Food and Agriculture (NIFA) and the Economic Research Service (ERS) outside of the DC area. The next step is for the full Senate to take up the nomination. In partnership with Experiment, ESA launched a challenge grant to support crowd-funding solutions to invasive species management and control challenges. The project follows the very successful GCAFE summit on invasive arthropods held in Vancouver on Nov. 9-10. Grants that seek to address key focus areas identified at the summit will be considered (areas are prevention, detection, response, and policy). Applicants do not need to have attended the summit to apply. On February 21, ESA will provide an extra $1,000 in funding to the leading project and $500 in funding to the second-leading project. Details are on the Experiment website. On September 28, 2018, US-EPA posted a Federal Register notice that the agency was seeking nominations for experts for ad hoc participation on the Federal Insecticide, Fungicide, and Rodenticide Act (FIFRA) Scientific Advisory Panel (SAP). ESA sought nominations from the membership and also provided a link for members to self-apply. As a result of the call for nominations, ESA formally nominated two members: Dr. Jeffrey Scott and Ms. Emily Fuerst. ESA's government relations firm, Lewis-Burke Associates LLC (LBA) provided the society with an analysis of the 2018 mid-term elections. SInce the report was issued the day following the election, several races which were still too close to call are listed as incomplete. The results from many of those races will be finalized in the weeks to come, but they are not expected to substantially change the analysis. Highlights include the fact that the House of Representatives will now be under Democrat's control and that the GOP seems poised to increase (albeit slightly) their majority in the U.S. Senate. While there are several new scientists and science advocates who were elected to Congress, other science-friendly incumbents were defeated. On August 31, 2018, President Trump nominated Dr. J. Scott Angle to become the new Director of USDA's National Institute for Food and Agriculture (NIFA), succeeding Dr. Sonny Ramaswamy. The appointment is for a six year term. In a letter timed to coincide with his appointment ceremony, ESA President Michael Parrella congratulated Dr. Angle on his new position and pledged the resources of the society to work with him, continuing the strong history of collaboration between NIFA and ESA. ESA joined nearly 30 organizations in submitting another letter, organized by NCFAR, supporting the nomination of Scott Hutchins, BCE, to become the Undersecretary of REE at USDA. In letters to both the leadership of the House and Senate, as well as the respective committee leaders, ESA sent thank you letters in appreciation of the funding for the Fiscal Year 2019 Labor, Health, and Human Services, Education, and Related Agencies appropriations minibus, which included a $2 billion increase for NIH and a $2 million increase for IMLS. In a letter organized by the AFRI Coalition and signed by 14 major agriculturally-aligned associations, ESA helped to support the nomination of past-president and member Dr. Scott Hutchins, BCE, to become the next Undersecretary of Research, Education, and Economics of the United States Department of Agriculture. The letter was delivered to both the majority and minority leadership of the Senate and the Senate Committee on Agriculture, Nutrition, and Forestry. As noted below (July 30, 2018), a Federal Register notice from the Fish and Wildlife Service sought public comments regarding proposed changes to the Endangered Species Act. ESA President Michael Parrella, on behalf of the society, submitted three sets of comments to address the three areas of change discussed in the notice: (a) interagency cooperation, (b) listing species and designating critical habitat, and (c) proposed revisions to the regulations for prohibitions to threatened wildlife and plants. In a letter organized by the AFRI Coalition, ESA joined 106 other organizations in a letter to the leadership of the agricultural committees of the U.S. House and Senate questioning the administration's proposed effort to move NIFA and the ERS out of the Washington D.C. region. In response, the following day, the Senate Agriculture committee sent this letter to Secretary Purdue. On September 20, the Secretary sent his response to the Committee Chairs. The Farm Bill represents one of the primary funding mechanisms for many agencies, programs, and topics of interest to ESA. Consequently supporting its development and passage has consumed a lot of the society's advocacy energy over these past months. The latest letter of support that ESA signed on to was organized by the National Coalition for Food and Agricultural Research (NCFAR). It was signed by 125 different organizations and advocated for the $200 million in funding for the Foundation for Food and Agriculture Research (FFAR), which had been called for in the Senate version of the bill, be included in the conference package. ESA was one of 37 scientific organizations to sign on to a letter addressed and distributed to the leadership of the House Committee on Agriculture and the Senate Committee on Agriculture, Nutrition, and Forestry regarding the 2018 Farm Bill. Both the House and the Senate have passed versions of the bill which now must be conferenced into a single bill. While both bills showed support for agricultural research, extension, and education, the letter supported the Senate version and encouraged the conference committee to adopt language from that version of the bill. In a letter addressed to the leadership of the Senate Committee on Commerce, Science, and Technology, ESA joined more than 45 other scientific organizations to support the nomination of Dr. Droegemeier to serve as the new Director of the Administration's Office of Science and Technology Policy, a position that has remained unfill for more than 500 days. In comments submitted through the Federal Register, ESA President Michael Parrella urged the U.S. Environmental Protection Agency to withdraw from considering the Strengthening Transparency in Regulatory Science rule. In ESA's view, the rule would prove to be overly restrictive on the types and quantity of research which could be used by the agency to inform decision making. In earlier comments (see article below from May 24) ESA had encouraged the agency to extend the comment period, which they did. Lewis-Burke Associates, ESA's government relations firm, provided analysis of this annual memo, which is designed to provide guidance to federal agencies on the Administration's R&D priorities with respect to the annual budgeting process. While many of the priorities fall outside of ESA's tiered agenda, a few topics, including medical innovation, american agriculture, partnering with industry and academia, and STEM education are aligned with ESA's interests. The memo was released on the same day that President Trump announced his intention to nominate Dr. Kelvin Droegemeier to be the new Director of OSTP. Two recent proposals in the federal government seek to weaken the Endangered Species Act. First, the Senate’s Environment and Public Works (EPW) committee announced a proposal to update the Act. In advance of an EPW committee meeting, ESA submitted a letter to Senators John Barrasso and Tom Carper, Chair and Ranking Member of EPW, supporting the current Act and reminding them of our position paper on the topic and opposing proposals to defer enforcement to the states. Secondly, on July 19, 2018, the U.S. Fish and Wildlife Service announced a proposal to update the Act. A related Federal Register notice from the Fish and Wildlife Service includes instructions for public comments. ESA will draft further testimony for input and also plans to provide recommendations for individual testimony for members who would like to submit comments during the 2018 Entomology Advocacy Week. Comments will be due by September 24, 2018. On June 28, APHIS published a notice in the Federal Register of an intent to prepare a programmatic environmental impact statement in connection with potential changes to the regulations regarding the importation, movement, and release of certain genetically modified organisms. ESA's testimony focused on the rapid rate of advancement in this field as well as highlighting recommendations made in a recent report from the Council for Agricultural Science and Technology (CAST). In a letter to Senate leadership and the leadership of the Senate Committee on Agriculture, Nutrition, and Forestry, President Parrella expressed the Society's support for Scott Hutchins to become the new USDA Undersecretary of Research, Education, and Economics. The letter highlighted Dr. Hutchins' strong academic and research credentials as well as his history of supporting evidence-based decision making. On July 16, the U.S. Department of Agriculture (USDA) announced that President Trump had nominated Dr. Scott H. Hutchins, an entomologist and former ESA president (2007), to the position of USDA Undersecretary of Research, Education and Economics. ESA President Michael Parrella praised the choice of Hutchins for the "chief scientist" role: "Dr. Scott Hutchins is an ideal candidate for the role of USDA undersecretary for research, education and economics. His credentials in both science and leadership are hard to match, and he knows first-hand the value of research, government, and industry working together to support agriculture and serve society. I have no doubt that he will be an exceptional asset to the Department," Parrella said. In their July meeting, the ESA Science Policy Committee also endorsed the nomination. Language that codifies the Pollinator Health Task Force was included in the U.S. Senate's version of the 2018 Farm Bill (the full bill exceeds 1,000 pages, the PHTF language starts on page 611). The task force had been originally created by Executive Order by the previous Administration. The Farm Bill passed the Senate on June 28 and the House passed their version on June 21. The two versions must now be reconciled and then the changes approved by both Houses before the bill will become law. The language submitted by ESA to the bill may be found here. ESA was one of approximately 30 co-signatories and one of the only scientific societies to join a community letter asking federal appropriators to include $746 million in funding for the fiscal year 2019 EPA Science and Technology (S&T) program. The National Academies of Science, Engineering, and Medicine have articulated the importance of the scientific findings that arise from the S&T program. In a letter to EPA Administrator Scott Pruitt, ESA President Michael Parrella urged EPA to extend the comment period for implementing the proposed new rule entitled "Strengthening Transparency in Regulatory Science". The rule has been widely viewed by the scientific community as a deviation from established scientific practices, and one that will--despite the rule's name-- weaken the agencies ability to cite and make use of established scientific reports, resulting in a decrease of the scientific validity of any new rules. One additional consequence of the recently passed Republican tax bill is that expenditures by tax-exempt organizations, such as ESA, on transportation-related fringe benefits for employees and contractors would now be subject to an unrelated business income tax of 21%. The association community, led by the American Society for Association Executives, organized a letter to the Department of the Treasury to seek a delay in implementation, or, at a minimum, additional guidance on how the rule should be implemented. 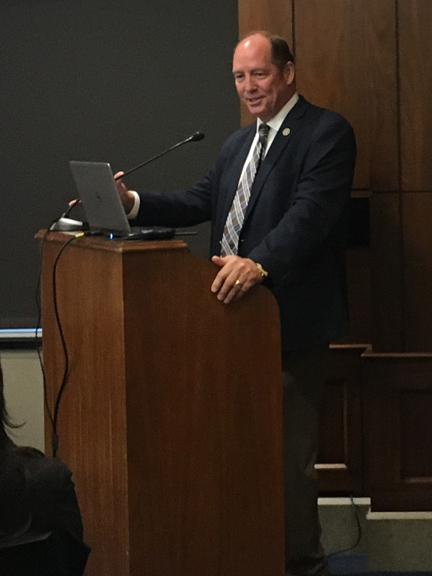 Working with Reps. Tulsi Gabbard (D-HI) and Ted Yoho (R-FL), ESA hosted a congressional briefing on Areawide Integrated Pest Management (AIPM). The briefing was attended by nearly 60 people, including agency staff, legislative aides for House and Senate offices, committee staff, ESA science policy fellows, and others. The Association of Public Land Grant Universities (APLU) and the Weed Science Society of America (WSSA) were supporters of the briefing as well. Rep. Yoho provided introductory remarks and Dave Chun, an LA for Rep. Gabbard, provided closing comments. The briefing agenda and presentation slide deck are available via these links. In a series of eight separate documents to the relevant U.S. House of Representatives and the Senate subcommittees, ESA submitted Outside Witness Testimony (OWT) to establish our budgetary and funding priorities as the subcommittees begin to develop their fiscal year 2019 budgets. Each subcommittee has their own rules and timetables for OWT. ESA submitted funding testimony to the Appropriations Subcommittees on (a) Agriculture, Rural Development, Food and Drug Administration and Related Agencies (Senate version); (b) Commerce, Justice, Science, and Related Agencies (Senate version); (c) Interior, Environment, and Related Agencies (Senate version); and (d) Labor, Health and Human Services, Education, and Related Agencies (Senate version). In all cases the House versions were very similar to the Senate versions. In a letter signed by 153 members of the CDC Coalition, including ESA, the group called on leadership of both the House and Senate Appropriators to provide $8.445 billion in fiscal year 2019 funding for the CDC's programs. The letter specifically mentioned the need to provide a strong public health infrastructure to protect Americans from emerging challenges, including vector borne diseases, noting that more than 70% of CDC's budget supports public health and prevention efforts provided by state and local groups. Lewis Burke Associates (ESA's government relations firm) prepared an analysis of the bill (H.R. 1625) to fund the federal government that Congress passed on March 22. The bill passed with broad bipartisan support on a vote of 256-167 in the House and 65-32 in the Senate. President Trump signed the bill into law the following day on March 23. Broadly speaking, the bill rejected many cuts that had been proposed by the Administration in areas of care and concern to ESA. The $1.3 trillion bill includes funding for all 12 annual appropriations bills. ESA and 49 other members of the USDA's Agriculture and Food Research Initiative (AFRI) requested $525 million in funding for fiscal year 2019. The letter, which was organized by the Supporters of Agricultural Research (SoAR) Foundation, made the case that agricultural research funding has fallen consistently for more than a decade, to the point that less than 1 in 5 of the projects recommended by the program's review panels is funded. Letters were sent to the leadership of both the House of Representatives and the U.S. Senate. In 2017 ESA was one of the first professional associations to announce support for the March for Science, a non-partisan advocacy organization that supports evidence-based decision making in public policy. The 2018 march will be held in April 14 in Washington DC and at satellite locations around the world. In addition to financially supporting the march, ESA has contracted with member-artist Dr. Carly Tribull to create custom artwork that members and others can use for signs (PDF available here). 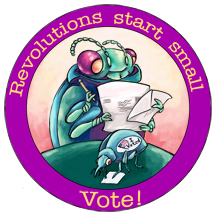 A limited number of buttons and stickers (artwork shown to the right) will also be available for distribution to members who are helping to organize March for Science activities in their own cities: Contact esa@entsoc.org to request yours today. ESA will also support the March for Science SIGNS summit to be held in Chicago, IL on July 6-8, 2018. In a letter addressed to the leadership of the House Subcommittee on Commerce, Justice, Science, and Related Agencies, ESA and approximately 130 other scientific organizations who represent the membership of the Coalition for National Science Funding (CNSF), advocated for robust funding of the National Science Foundation (NSF) in FY2018 budget appropriations. The letter was also sent to the House and Senate leadership as well as the House and Senate Appropriators. In response to a call for nominations, President Parrella nominated Dr. Rob Venette, Director of the Minnesota Invasive Terrestrial Plants and Pests Center in the College of Food, Agricultural, and Natural Resource Science at the University of Minnesota, to serve on the Invasive Species Advisory Committee (ISAC), which operates as an advisory body for the National Invasive Species Council (NISC). NISC provides high-level interdepartmental coordination of Federal invasive species actions and works with other Federal and non-Federal groups to address invasive species issues at the national level. As they do with each new budget request, Lewis Burke Associates (ESA's government relations firm) prepared an analysis of the Administration’s second budget request (FY2019).The budget emphasizes defense and national security priorities and also seeks to minimize regulatory oversight, shrink the size of the federal workforce, and enact cuts to many non-defense, discretionary programs, including some of the federal scientific agencies of importance to ESA members. The request would eliminate the Federal Supplemental Educational Opportunity Grant program, GEAR UP, and Title VI International Education programs, while significantly reducing funding for Federal Work-Study. This request reflects the Administration's priorities - actual funding appropriations is the purview of Congress. ESA joined 94 other groups as part of the Task Force on American Innovation Steering Committee in urging Congress to raise budget caps for both defense and non-defense and make the 302(b) allocations for Commerce, Justice, Science, and Related Agencies (CJS) and Energy and Water Development and Related Agencies (E&W), and funding for Department of Defense (DOD) science and technologies top priorities when allocating increases. 302(b) allocations are the spending amounts set by the House and Senate Appropriations Committees for each appropriations subcommittee after receipt of the committees’ 302(a) allocations. 302(a) allocations are the spending amounts set by the House and Senate Budget Committees for their respective Appropriations Committees upon passage of a budget resolution. On December 27, 2017, the US Department of Interior, on behalf of the interdepartmental National Invasive Species Coalition announced a call for nominations for new members of the Invasive Species Advisory Committee (ISAC). This information was posted to eNews and the Science Policy Newsletter and qualified members of ESA were encouraged to self-nominate. The deadline for nominations is February 26. Prior to the deadline, ESA is seeking to bolster entomology's representation on ISAC by supporting a few key nominations. If you have already self-nominated and would like to seek ESA's endorsement of your candidacy, please fill out this form. To address the grand challenge of invasive arthropod species, the Entomological Society of America (ESA), the Entomological Society of Canada (ESC), and the Entomological Society of British Columbia (ESBC) will host a one-day summit on 10 November, 2018. The summit, which will be invitation only, will be held immediately prior to the Joint Annual Meeting of the three societies in Vancouver, BC. The Tick-Borne Disease Working Group, which was authorized in the 21st Century Cures Act, met for the first time on December 11, 2017 and agreed to the formation of six subcommittees. Nominations were initially sought from third party groups, but on December 22, the committee opted to only accept self-nominations. ESA worked with several well-known tick professionals and the Science Policy Committee to encourage self-nominations and then issues a letter of support for those nominations. (Update February 7): Of the nine nominations supported by ESA, five were selected to serve on subcommittees. Along with the Weed Science Society of America (WSSA) and the American Phytopathological Society (APS), ESA supported naming February 2018 to be the inaugural month for this educational promotional effort. The purpose of NPSEM is to reinforce the core principles of safe pesticide handling, from purchase to disposal. Sponsors are sought to provide cash or non-cash contributions in 2018 to support Pesticide Safety Education Programs run by the nation's land-grant universities. Organizations interested in sponsoring NPSEM should contact Wayne Buhler, PhD, coordinator of the Pesticide Safety Education Program at North Carolina State University. Activities may be tagged with the hashtag #NationalPSEMonth.